To say that Yusef Lateef has had a remarkable career would be a major understatement. Lateef, who celebrates his 90th birthday this year, was recently honored as a 2010 NEA Jazz Master. On the tenor, flute and oboe he has an inimitable voice, and along with Miles Davis and John Coltrane, he was a trailblazer of modal jazz. Although he had stints with Dizzy Gillespie, Cannonball Adderley and Charles Mingus, Lateef has primarily been a leader throughout his career with over 70 innovative albums to his credit. He was one of the first to emerge from mainstream jazz and explore “world” music, on his landmark 1961 Prestige record Eastern Sounds. And he had a great run of classic releases on the Impulse! label from 1964-66. Rather than use the word “jazz,” Lateef prefers to call his music “autophysiopsychic,” meaning, “that which comes from one’s spiritual, physical and emotional self.” And what better place than Grace Cathedral to continue this journey? Providing subtle support will be Yusef’s frequent collaborator, percussionist Adam Rudolph. As a composer, Lateef has compiled a catalogue of works not only for the quartets and quintets he has led, but for symphony and chamber orchestras, stage bands, small ensembles, vocalists, choruses and solo pianists. His extended works have been performed by the WDR (Cologne), NDR (Hamburg), Atlanta, Augusta and Detroit Symphony Orchestras, the Symphony of the New World, Eternal Wind, the GO Organic Orchestra, and the New Century Players from California Insitute of the Arts. In 1987 he won a Grammy Award for his recording of “Yusef Lateef’s Little Symphony,” on which he performed all the parts. His latest extended works include a woodwind quintet, his Symphony No.2, and a concerto for piano and orchestra. As an author, Lateef has published two novellas, “A Night in the Garden of Love” and “Another Avenue;” two collections of short stories, “Spheres” and “Rain Shapes;” and his autobiography, “The Gentle Giant,” written in collaboration with Herb Boyd. In recent years he has also exhibited his paintings at various art galleries. Lateef was born William Emanuel Huddleston on October 9, 1920 in Chattanooga, Tennessee, and moved with his family to Detroit in 1925. In Detroit’s fertile musical environment, Yusef soon established long-standing friendships with such masters of American music as Milt Jackson, Tommy Flanagan, Barry Harris, Paul Chambers, Donald Byrd, the Jones brothers (Hank, Thad and Elvin), Curtis Fuller, Kenny Burrell, Lucky Thompson and Matthew Rucker. He was already proficient on tenor saxophone while in high school, and at the age of 18 began touring professionally with swing bands led by Hartley Toots, Hot Lips Page, Roy Eldridge, Herbie Fields and eventually Lucky Millender. In 1949 he was invited to join the Dizzy Gillespie Orchestra. Returning to New York in 1960, Lateef undertook further studies in flute with Harold Jones and John Wummer at the Manhattan School of Music, from which he received his Bachelor’s Degree in Music in 1969 and his Master’s Degree in Music Education in 1970. Later, as a member of the school’s theory department in 1971, he taught courses in autophysiopsychic music. From 1972–1976, he was an associate professor of music at the Borough of Manhattan Community College. As an instrumentalist with his own ensemble, Lateef has performed extensively in concert halls and at colleges and music festivals throughout the United States, Europe, the Middle East, Russia, Japan and Africa, often conducting master classes and symposia in conjunction with his performances. Dating from the release of the double CD “Influence” with the Belmondo Brothers in 2005, his engagements at international music festivals have increased significantly. Over the years his touring ensembles have included such master musicians as Barry Harris, Kenny Barron, Hugh Lawson, Albert Heath, Roy Brooks, Ernie Farrell, Cecil McBee, Bob Cunningham, Adam Rudolph, Charles Moore, Ralph Jones and Frederico Ramos as well as the Lionel and Stéphane Belmondo. Lateef’s first major work for large orchestra was his Blues Suite, also known as “Suite 16,” premiered in 1969 by the Augusta, GA Symphony Orchestra, performed in 1970 with his hometown Detroit Symphony Orchestra at the Meadowbrook Music Festival, and recorded by the WDR Orchestra in Cologne. In 1974 the NDR Radio Orchestra of Hamburg commissioned him to compose and perform the tone poem “Lalit,” and he later premiered and recorded his Symphony No.1 (Tahira) with the same orchestra. From August 1981 until August 1985, Lateef was a senior research Fellow at the Center for Nigerian Cultural Studies at Ahmadu Bello University in Zaria, Nigeria, where he did research into the Fulani flute. Sarewa is the generic name for the Fulani flute. In 1992 Lateef formed his own label, YAL Records, to record and distribute his works and those of other artists including the Eternal Wind Quintet. One of his first recordings on the label, co-composed with percussionist Adam Rudolph, was “The World at Peace,” an extended suite requiring 12 musicians including Eternal Wind, which has received repeated performances throughout the United States. In 1993 the WDR Orchestra producer Ulrich Kurtz commissioned Lateef’s most ambitious work to date, The African American Epic Suite, a four-movement work for quintet and orchestra representing 400 years of slavery and disfranchisement of African Americans in America. David de Villiers conducted the premiere performance and recording with the WDR Orchestra. The suite has also been performed by the Atlanta Symphony Orchestra under Yoel Levi as a centerpiece of the National Black Arts Festival in 1998 and by the Detroit Symphony Orchestra under Thomas Wilkins in 2001. 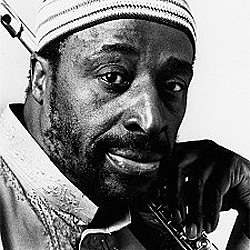 Through his publishing company, Fana Music, Lateef has contributed extensively to the lexicon of performance and improvisational methodology with such works as “Yusef Lateef’s Flute Book of the Blues,” “A Repository of Melodic Scales and Patterns,” and “123 Duets for Treble Clef Instruments.” Fana has also published numerous works for chamber ensembles, stage bands, duos and wind ensemble or symphony orchestra.